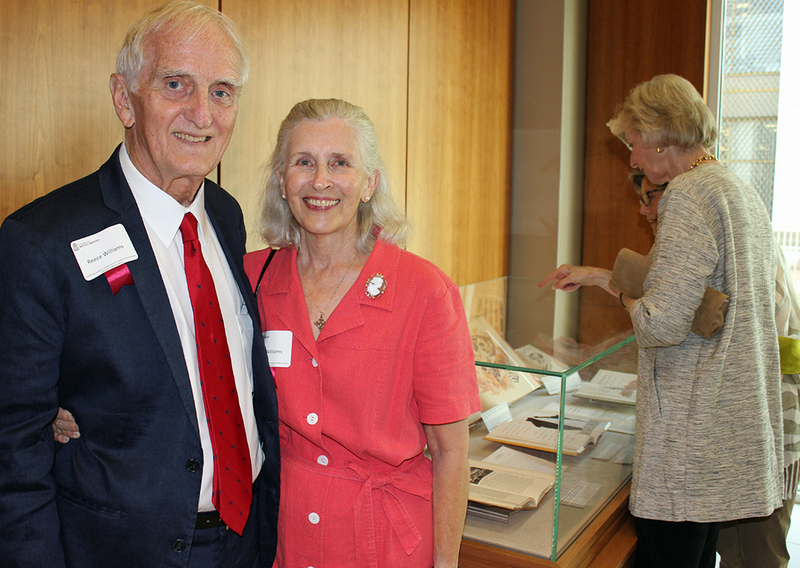 COLUMBIA, SOUTH CAROLINA – Thursday night, Aug. 25, friends of the Thomas Cooper library at the University of South Carolina celebrated a valuable gift from two of their own, Nancy and Reece Williams. The gift was the Williamses’ William Faulkner collection, including first editions of all 20 novels, plus an eclectic assortment of other rare books by and about the legendary Mississippian. The event was highlighted by a lecture on the role of Southern history in Faulkner’s works, delivered by Dr. Don H. Doyle, the McCausland Professor of History at USC. But first, D. Reece Williams III told the full-capacity audience about how he and wife Nancy, pictured above, were first exposed to Faulkner. Reece said that as a Southerner, he didn’t feel like he was reading fiction – he felt he was reading about himself, his own family, community and culture. Since Nancy Williams is originally from San Francisco, her perspective was different, he said: She saw Faulkner as a guide to something exotic, a manual explaining anachronistic Southern idiosyncrasy. In other words, he said, “She, too, thought it was about my family, my…” and the rest was drowned out by laughter from the audience, many of whom know the Williamses well.